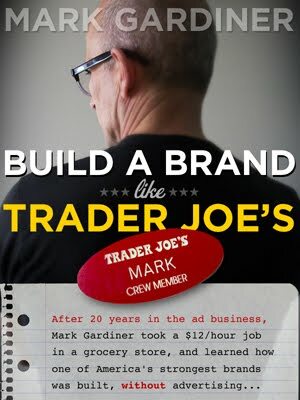 If you've read Build a Brand Like Trader Joe's and want to discuss it, this is the place. If you have questions, comments, or flaming barbs for me -- or if you'd like to trade ideas with other "Build..." readers -- post your comments below. I heard your interview on KCUR. On the subject of bread people mentioned Sour Dough. My more favorite selection of bread over Sour Dough is Salt Rising. http://risingcreekbakery.com/SRB.html This explains the bread. I was wondering if you have ever eaten any? I have not been to a Trader Joe's, I would like to see if they carry this item. Just read your book in one sitting. I don't read a lot but I had a natural food store for 20 years, and after a 10 year break, I'm getting back on board. A friend said I should check out Trader Joe's. I live in Australia and have visited the States 3 times and always check out retailers when I'm there, but I've never been drawn to Trader Joe's. But when my friend told me TJ's outsell WFM I was curious. The book is a great read. Really insightful, inspiring and simple to apply. I learned why my previous business was so successful and how I got in the way of it being even more so, why my main future co-habitant in the marketplace is so successful and why winning any of their cult followers is no given just because I'll do some things better. Perhaps the greatest challenge I have identified in this book is striving for order and having fun in an environment we can't control and finding & retaining staff that thrive on that.